Offering an all-in-one bundle worthy of a high-class boutique, the Crosswater Essentials Family Bathroom Package has been designed to cater for all your family requirements without costing the earth. 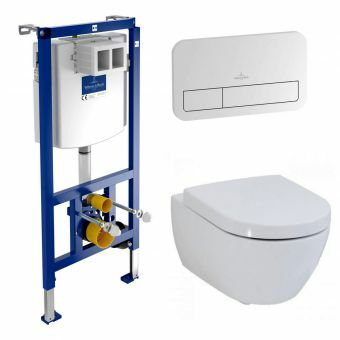 Covering all aspects of the daily bathroom visit, it is indestructible but without losing the feeling it has been made by genuine craftsmen. At the heart of the package is the spacious shower enclosure supplied with a matching stone resin tray. 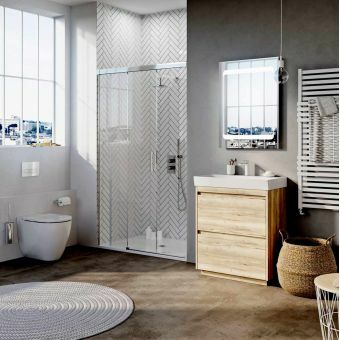 Cast in a quadrant form, it makes the best use of any space available in the bathroom and with a door that can open to the left or right-hand side, it is as versatile as it is technically advanced. Inside, a concealed thermostatic shower valve will provide you with a fabulous showering experience thanks to the chrome Wisp shower kit that features no less than three spray patterns. 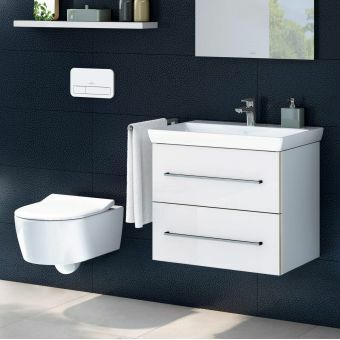 Providing you with a distinct washing area, the Kai 600 basin and vanity unit are a match made in heaven. The grey oak finish is a modern masterpiece that will blend in with most decors. Opening the front drawer reveals a spacious storage area that can cope with towels and toiletries without complaining. 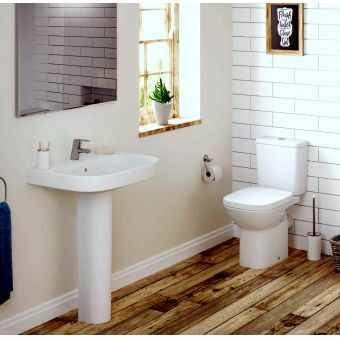 The sturdy white basin has a single tap hole and is supplied with a Serene monobloc basin mixer that comes complete with a matching chrome click-clack waste. The wall space above the unit is the perfect place for the Linea LED backlit mirror. It provides you with a soft glowing light that brings a refined ambience to any bathroom. 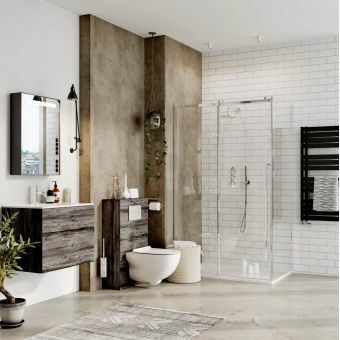 Other refinements that come with this package include Central accessory elements such as a towel ring, soap dish, double robe hook, toilet roll holder and brush set. All of these are cast in sparkling chrome that guarantees easy maintenance as well as catering for all of your daily tasks. 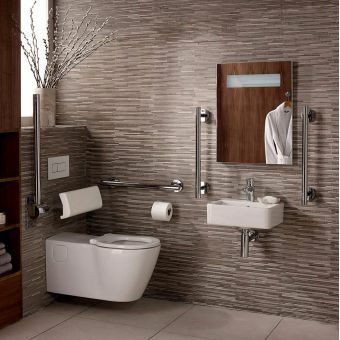 The Kai close coupled toilet is a gem amongst bathroom fittings being well-proportioned with unparalleled design. Its slim and unobtrusive form is finished off with the thin soft closing seat that will appeal to all the senses. 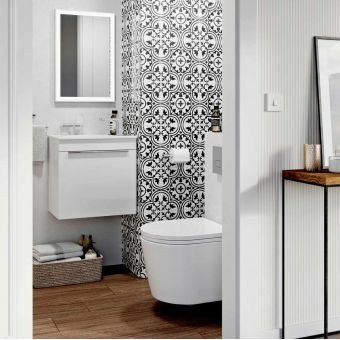 No bathroom would be a pleasant place to be if it wasn't warm and cosy so with the Design radiator fixed to the wall, warm and cosy is guaranteed. 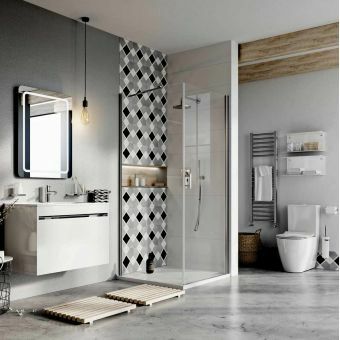 At 1110 x 500mm wide, it is large enough to heat most bathrooms quickly and efficiently. If you need to moderate the room temperature, the contemporary round radiator calves will keep the temperature under control. 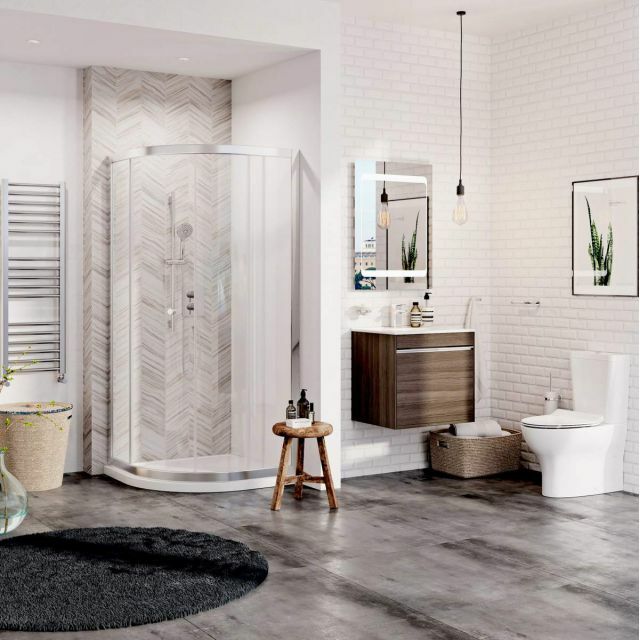 This family suite will be a stunning addition to any home and as the heart of a bathroom makeover or refurbishment, it will be easy on your pocket while providing you with huge design flexibility.